The smoke-engulfed town is a scene of orange and black. There is fire all around, and as the wind picks up, more flames are fanned. 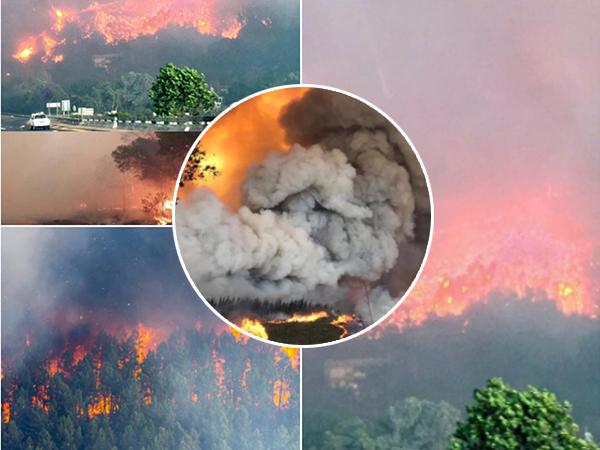 This is the Armageddon-like scene described by a Knysna residents as several fires rage through the town. Teams on Working on Fire (WOF) have already been sent to Knysna. The assistance of the army may also be invoked. #KnysnaFire This was last night ..
Every person, family, business affected may they find strength & support for restoration.